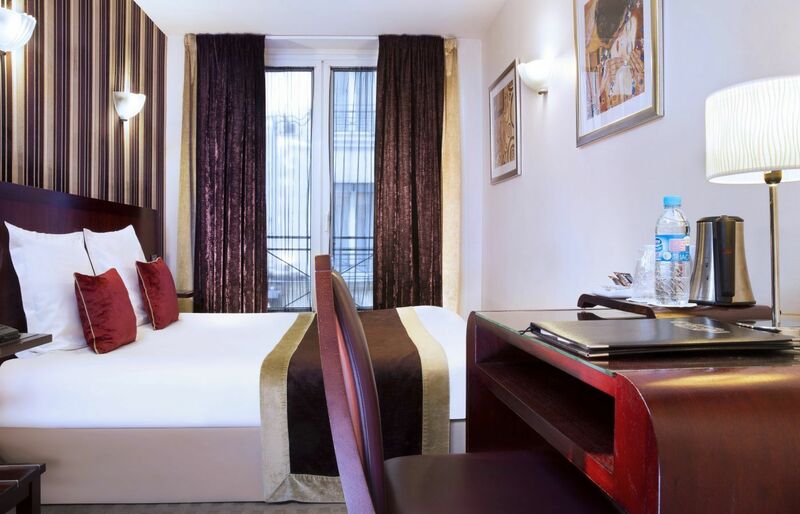 Backed against the famous Galeries Lafayette shop, just a few steps away from Printemps Hausmmann open everyday, the Hotel Opéra d'Antin is located in the heart of Paris, where everything is at your doorstep! 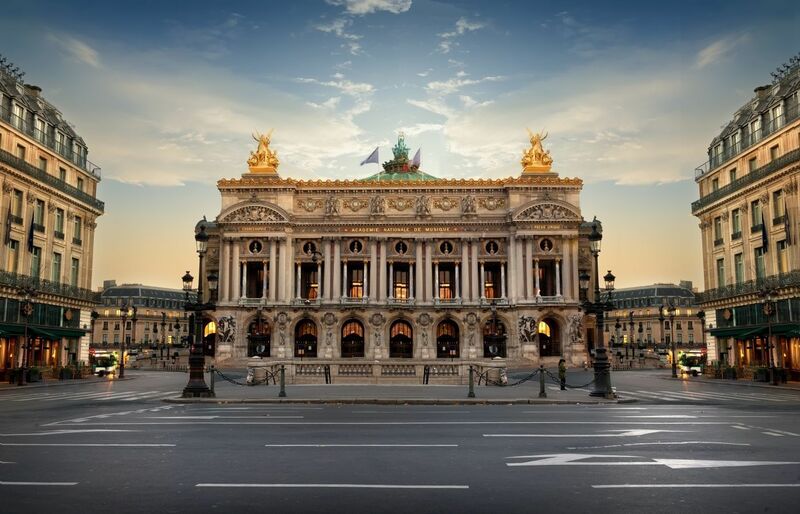 Just 3 minutes from the hotel, you can find the Opéra Garnier, a temple of music and spectacular architecture. 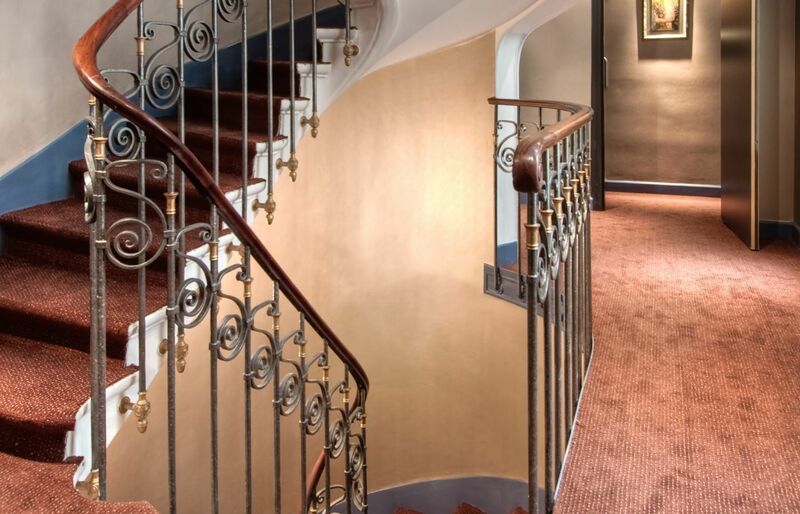 Continue your walk to la place Vendôme, with its famous jewellers or take l'avenue de l'Opéra and discover the Louvre. All that on foot, without having to use public transport! Likewise at night, the Mogador theatre is just 2 minutes away and the Olympia, less than 10 minutes from the hotel. Chaussée d' Antin (metro lines 7 and 9), Havre Caumartin (metro lines 3 and 9) or Opéra (metro lines 3, 7 and 8). RER (regional express trains), line A, to: Auber. RER (regional express trains), line B, to: Haussmann - Saint-Lazare. Saint-Lazare station (Versailles) just 5 minutes away on foot. The Gare de l' Est (East station) is about 3 km away. The Gare du Nord (North station) is about 1 km away (10 minutes by bus): Eurostar train terminal and Thalys, direct access to Roissy airport via RER (regional express) line B. Lyon station around 8 km away. Montparnasse station is about 5 km away. Air France shuttle just 5 minutes away from the hotel. Roissy-Charles de Gaulle airport 29 km away. Orly airport 32 km away. Vélib city bike hire station close by. Public parking at Galeries Lafayette, rue de Provence, around 45 meters away. Roissy bus stop close by. The hotel’s Klimt Bar is open 24/7. 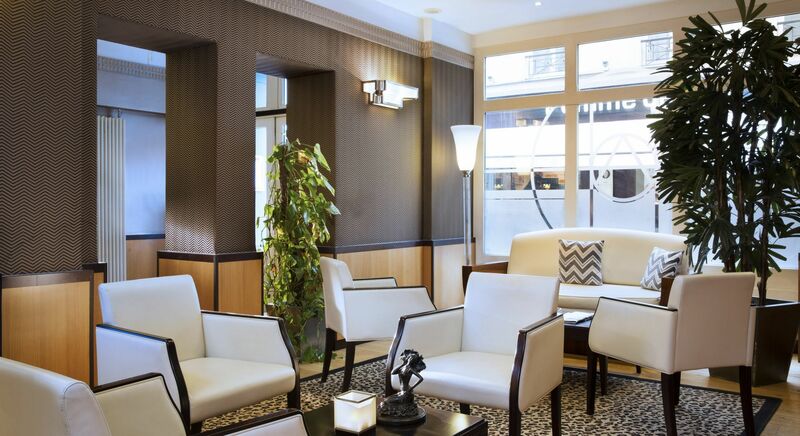 It has a definite “1930s” feeling about it thanks to the choice of furniture and light fixtures and a magnificent wall painting inspired by the great painter Gustav Klimt. This artist (1862-1918) is known to the general public mainly for his “gold period” – a series of creations adorned with gold enamel. Because of his extremely personal nature and the originality of his compositions, inspired by symbolism and impressionism alike, Klimt enjoys a unique status in art history. He is believed by many to have been one of the pioneers in the reconsideration of artistic values in the 20th century. 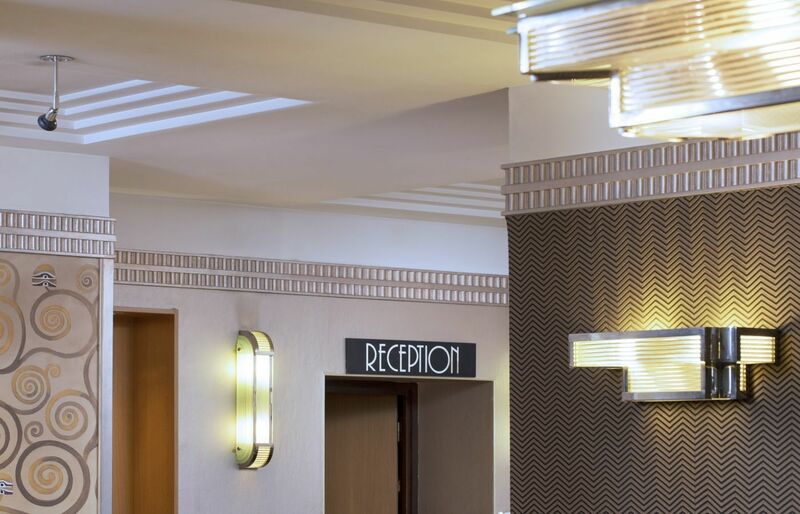 In keeping with the rest of the hotel, the breakfast room is decorated in true 1930s’ style, with a large glass roof for maximum luminosity. 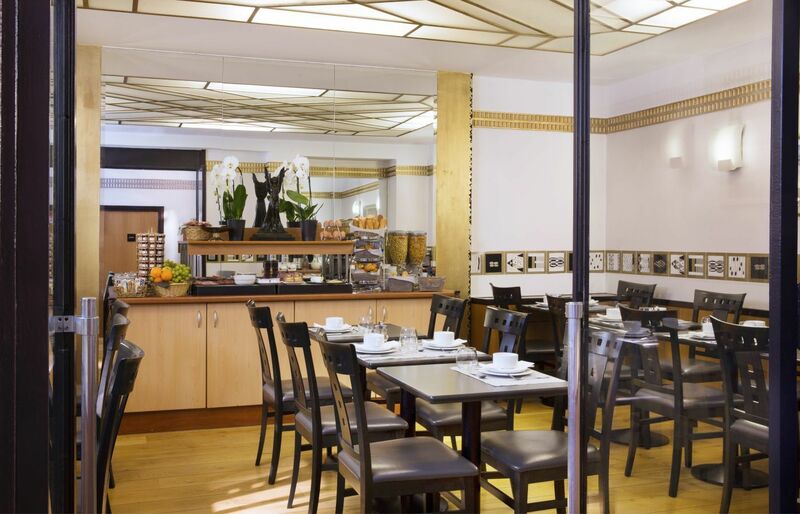 Every morning, it offers a very generous buffet, complete with tea, coffee, bread rolls, pastries, cereals and fruit juices – everything you need for a hard day’s sightseeing… or shopping! 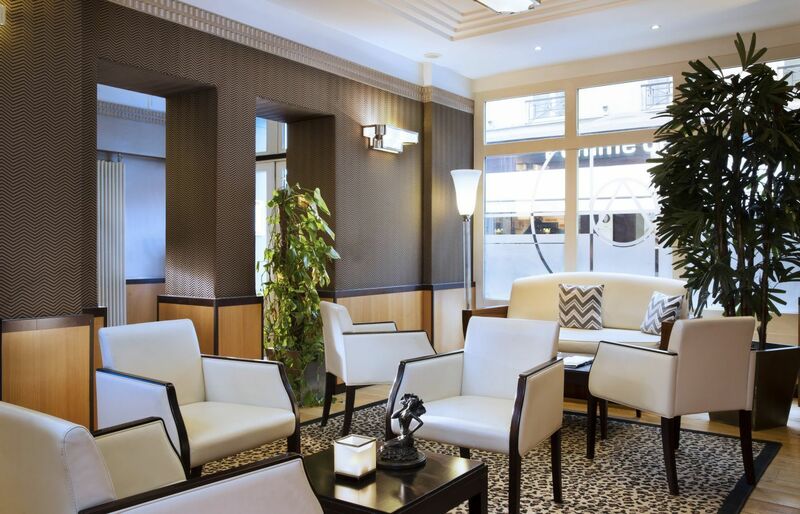 The hotel’s staff members attend to your needs, displaying care and a genuine will to help you make the most of your stay in France’s capital city.